A future in which all young people have a safe place to call home. The National Runaway Safeline (NRS) is a NN4Y member. And I attended the conference to represent NRS. 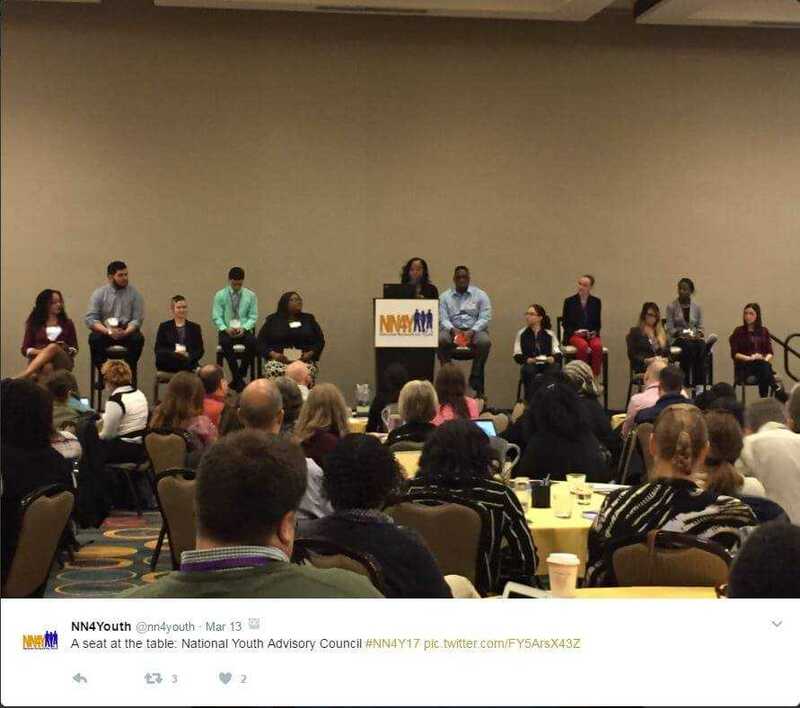 On Monday morning, the NN4Y Youth Advisory Council (YAL) spoke at the conference. 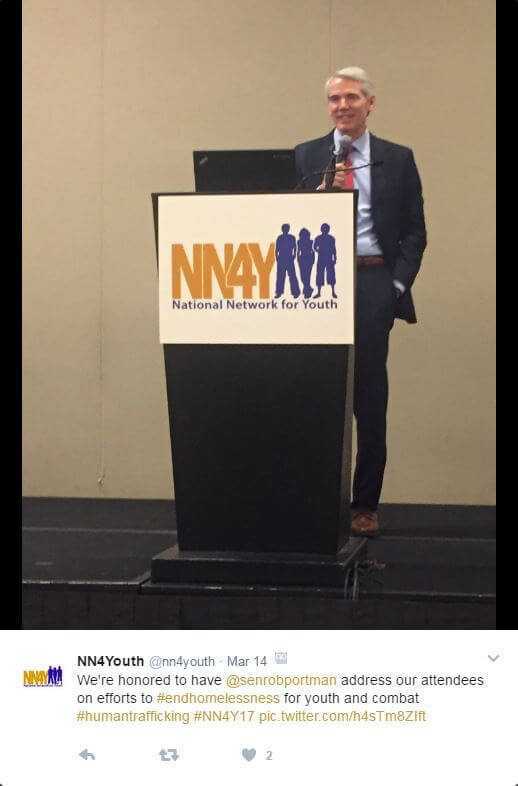 Yorri Berry-Harris, NN4Y Director of Youth Engagement introduced the YAL as being #Woke. A passionate Berry-Harris launched the panel discussion by describing the 10 member panel as a group that “makes my job easier, makes my life harder.” The YAC represent different national regions and life experiences of youth homelessness. The group brought both an expertise and a resilience to overcoming obstacles. YAC Panel: Craig Echols, Aja Ellington, Silas Follendorf, Elbert Giron, Sharday Hamilton, Jessica McCormick, Stephanie Perez, Kera Pingree, Jimmy Ramirez, Jessica Romero, Benjamin Saldana, Courtney Smith and Sasha Vaquera. Service providers need to provide more training to help staff be effective in connecting to youth. Law enforcement needs to get to know the changing population through trauma informed care and other training. Ask youth what they need. Acknowledge youth know what they need. Don’t rely on what you think they need. Keep on! 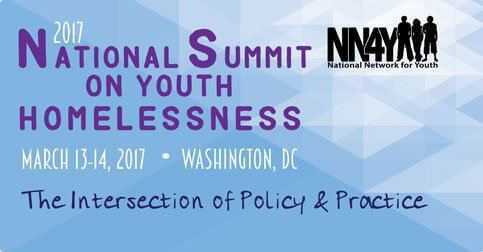 Working toward ending youth homelessness is hard work. Don’t get tired. Let youth know about resources. Recognize each person’s unique experience. Provide the space for listening to happen and conversations to start. The dynamic panel received a standing ovation for sharing their personal stories and views.